Award winning empty homes scheme, No Use Empty (NUE), has received a commitment of £100,000 from Tunbridge Wells Borough Council to provide top-up loans to help bring long-term empties back into use. The pioneering scheme introduced top-up loans in 2015 and has since seen further pledges totalling £800,000 from Shepway, Dover and now Tunbridge Wells. The top-up loans are indicative of the success of the scheme and the importance of collaboration between local authorities. 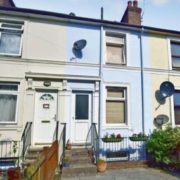 The top-up loans will be used to support the current £4 million NUE investment that has been allocated for the return of long-term empty housing stock to use. An additional £15,000 will be added to the NUE empty loan making a total of £40,000 per unit available to unlock developments in those wards. All loans are secured and repayable after 3 years.